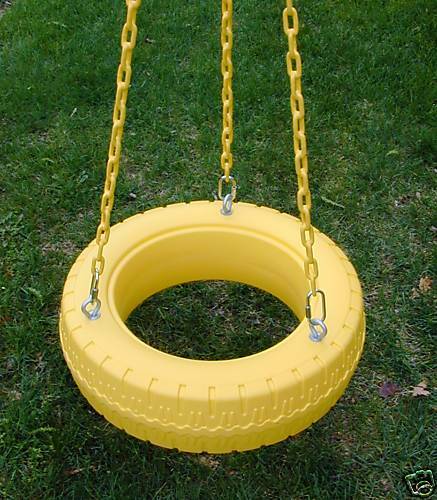 New Complete Plastic Tire Swing for tire swivel. 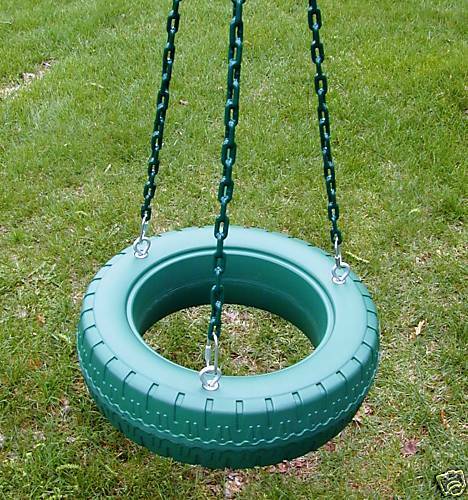 Large Plastic molded tire 24" diameter. 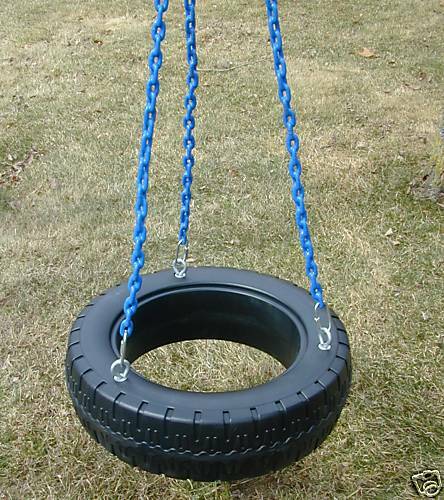 Unique swing with 7" sidewall and complete with chains. 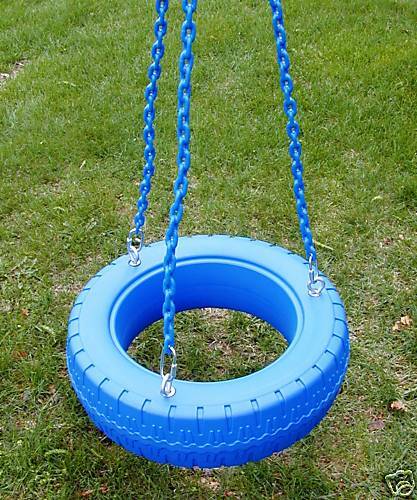 Swing includes eye bolt connectors, quick link chain connectors, blue pvc coated chain (30" of coating over 66" zinc plated chain) Designed for swing beams up to overall height of up to 8'. Eliminates the dirt of standard used rubber tires. 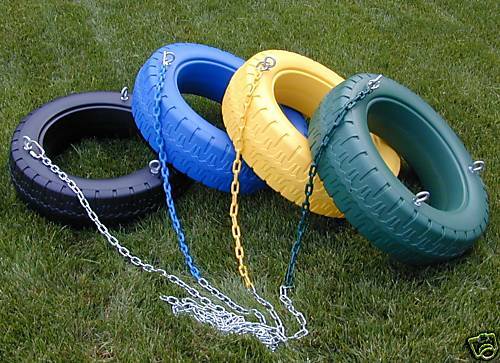 AVAILABLE IN BLUE, YELLOW OR GREEN or BLACK TIRE with Blue chain. Designed for maximum combined weight of 200 lbs. Residential use only.